To Self-Disclose or Not to Self-Disclose. The federal government is aggressively investigating and prosecuting healthcare providers for possible Anti-Kickback or Stark violations resulting in massive fines and devastating financial penalties. In the midst of all of this, you, the stealthy compliance professional, need to find ways to mitigate the potential threats. You might be tempted to voluntarily disclose wrongdoings to authorities. 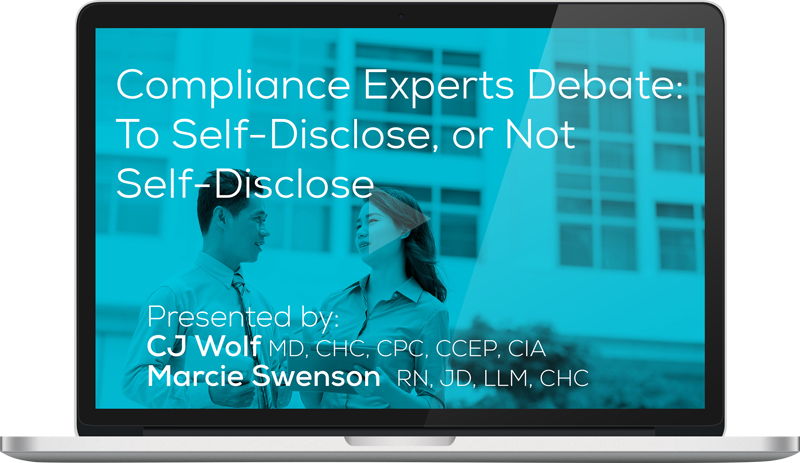 Have you and your compliance team ever debated on whether you’ve met the criteria for reporting a HIPAA breach to the government? Self-disclosing an Anti-Kickback or Stark issue? Or making a repayment or refund due to a coding or billing error? As a compliance professional, you’ll have to face these dilemmas sooner or later.